I know it's barely September, but it feels as if summer ended on August 1st for me. The year always seems to fly by so fast, so I try to reflect every few months on what happened, what went right, what I loved! I traveled with my brother and my husband (and a stuffed representative of my dog) to the Mediterranean. Mr. Curtis used to teach history and he loved all the ruins. 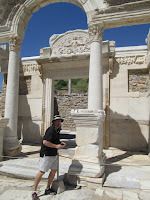 Here he is at a ruin in Ephesus, Turkey. Although I enjoyed the ruins, about 8 cities in, I was thinking, "Yep, there's another set of ruins." Meanwhile, Mr. Curtis was sneaking off to take a picture of Every. Single. One. 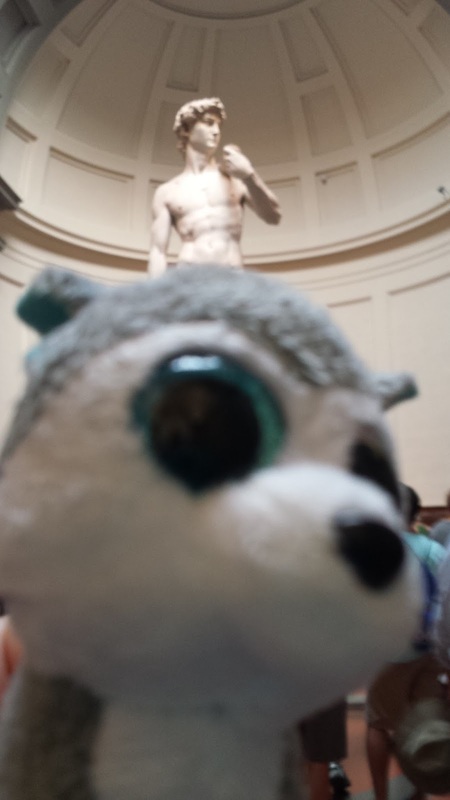 I was really into the art - I loved Florence (Michelangelo's David, left) and I loved Athens (the Parthenon museum). To the right is a picture of some beautiful statues of women. Although they were defaced, their appearance on the back is beautiful. You can still see how finely their hair was braided (just not from this pic). But I find many places are defined by its people. We met so many on our travels - tour guides, hotel workers, waitresses, baristas, shopkeepers. This was a kitten a woodcarver on the Amalfi coast had rescued. She was adorable and I wanted to take her home. Once we got back home, we spent time visiting our children (3 in college in another state). We consider ourselves blessed that they've settled out of the awkward, rebellious years, and are moving toward financial independence (we can only hope that's soon since we didn't save enough for their tuition funds based on inflation!). What did you do over the summer that you'll remember? I hope it was something that gave you joy, whether you took time out to crochet or you visited a far off land. Melinda Curtis is an award winning, USA Today bestselling author. Her latest release - Time for Love - is book 5 in her Harlequin Heartwarming Harmony Valley series. It features a single mom and a horse whisperer. I loved reading your post, Mel. You're right -- it's important to occasionally take time to review and reflect. I'm glad you had so many positive things this summer, and hope that continues for a very long time! Thank you for sharing your vacation with us, Mel. You brought back memories of a trip to Greece, years ago. I'm ready to go back, Mona! 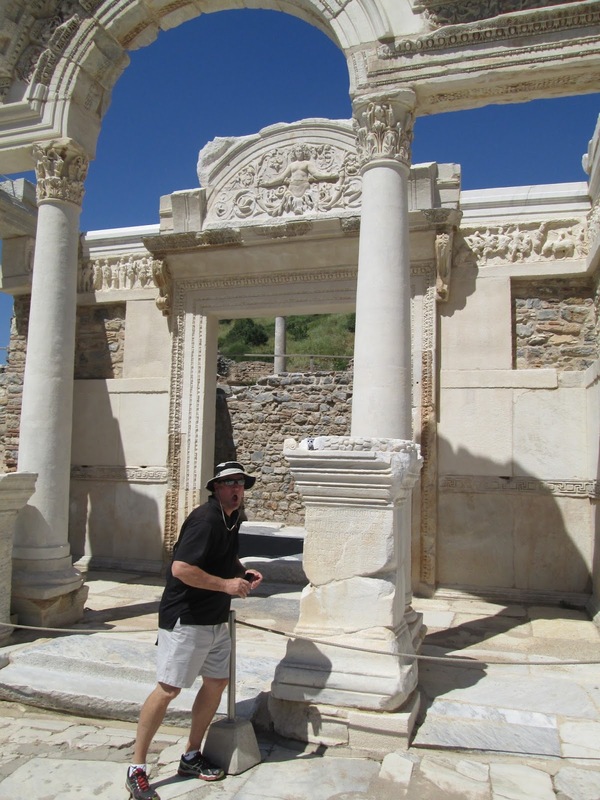 Mel, the ruins in Ephesus were some of the most interesting. There definitely are a lot of ruins in that part of the world. We took a similar trip several years ago. What a wonderful experience for you! Loved seeing the photos.Thank you for sharing your travels (and reflections) with us!